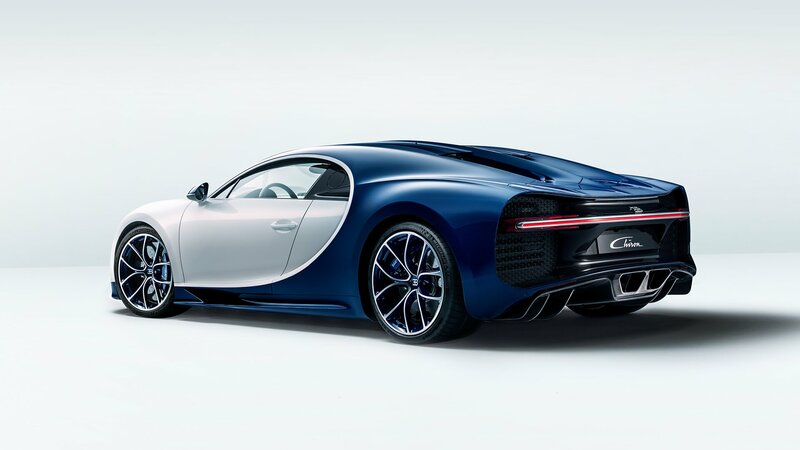 The CHIRON is the fastest, most powerful, and exclusive production super sports car in BUGATTI’s history. Its sophisticated design, innovative technology, and iconic, performance-oriented form make it a unique masterpiece of art, form and technique, that pushes boundaries beyond imagination. BUGATTI owes its distinctive character to a family of artists and engineers, and has always strived to offer the extraordinary, the unrivalled, the best. Every element of the CHIRON is a combination of reminiscence to its history and the most innovative technology. The result is a unique creation of enduring value, and breathtaking automotive accomplishment. The Skyview option was developed in accordance with the attributes that characterise the CHIRON. The symbolic horseshoe grill, and the distinctive C-bar on the side, still define it as unmistakably BUGATTI, as do its pronounced lines and generous surfaces. From inside, the glass roof enables a view into another dimension, flooding the cockpit with natural light. 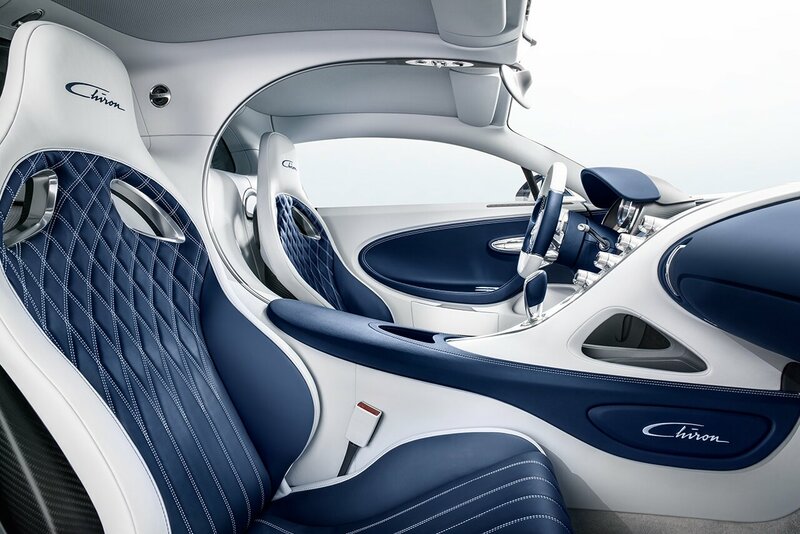 It generates a new feeling of speed and space, turning a drive in a BUGATTI with Skyview option into an incomparable, three-dimensional experience. The two glass elements are installed on either side of the central fin, which protrudes from the CHIRON's carbon fibre body and stretches fluidly towards the signature line which defines the car's unmistakable profile. To reach its unprecedented levels of performance, the CHIRON effortlessly merges its captivating beauty with sleek, muscular efficiency; a spectacular reinterpretation of the BUGATTI design DNA. The intelligent air intake management significantly improves aerodynamics and enhances the cooling efficiency for engine and brakes. The distinctive quad LED headlights, for example, also serve as intakes routing air to the front brakes – and thus work as a remarkable example of functionality fusing with aesthetics. 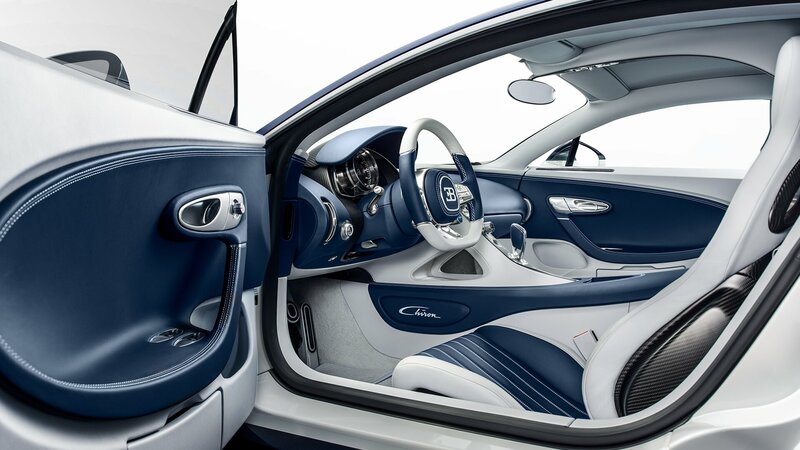 This enthusiasm for performance-oriented design continues in the interior, complemented by BUGATTI’s exquisite sense of comfort and luxury. Mirroring the CHIRON´s exterior signature line, the LED illumination in the distinctive C-line form separates the two seats, and reveals the stunning functional beauty of the interior. The cockpit layout of the CHIRON gives the pilot all the necessary information within his range of vision. Proudly displaying the magic 500 km/h mark, the mechanical speedometer is a feast for the eyes. On the central console, milled from a single piece of solid aluminum, each unit has independent, adjustable displays. Each CHIRON is one of a kind; an exquisite masterpiece of breathtaking power and unrivalled beauty. 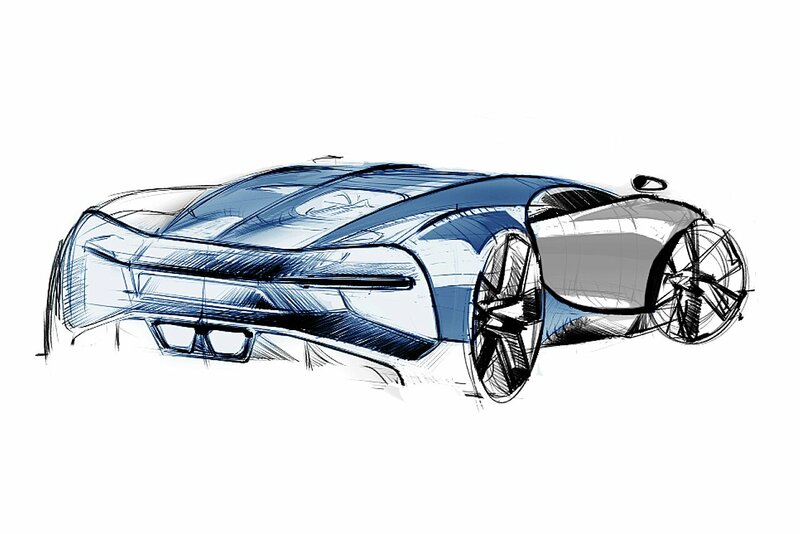 To build each customer’s unique work of art, BUGATTI designers collaborate closely with the owner to create a car that fits their personality, while matching the brand’s captivating legend status and ardent commitment to utmost quality. There are virtually no limits to the levels of personalisation that can be achieved. The heart of the CHIRON is its quad-turbocharged 8 l W16 engine. This unique masterpiece generates an incredible 1,500 hp and 1,600 Nm of torque, with an almost linear power output between 2,000 and 6,000 rpm. Four high-performing turbochargers work in a two-stage controlled configuration, and define this champion of performance. A remarkable 60,000 litres of air are pumped through the engine every minute. Simultaneously, 800 litres of water per minute circulate through the CHIRON’s heart, and guarantee the cooling of the engine and generate the extraordinary power. The new titanium exhaust system, with reduced gas back pressure, boosts this performance further. To maximise the CHIRON’s engine power, lightweight materials, such as titan and carbon fibre, have been used wherever possible.